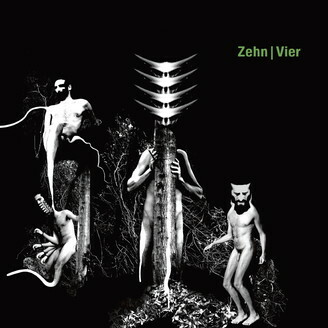 Ostgut Ton reissues Vier of Zehn with original tracks by Nick Höppner and Virginia as well as Matthew Styles remixing Dinky. 2015 marked Ostgut Ton’s ten-year anniversary, celebrated with an extensive 30 track compilation release, titled Ostgut Ton | Zehn, spread out over ten 12“ vinyl records housed inside a limited box set. This sampler sold out in no time, which is why Ostgut Ton is re-issuing these ten 12"es individually in 2016. While Gregory Myrgiotis’ artwork may look as if it’s a rather dark record music-wise, the opposite is true: Zehn | Vier comes with three uplifting House tracks. While the CD version of Zehn features the original Dinky production, this 12“ comes with Matthew Styles’ seven-minute Dub mix, the most notable difference being the lack of vocals as well as Styles’ focus on synth pads and piano melodies – “Planes” takes a completely new route with this instrumental version. We all have our crosses to bear, and Nick Höppner carries a double pack: His percussion-heavy contribution is in the vein of his critically acclaimed album Folk (Ostgut Ton, 2015). A different tone and mood is being set by Virginia, whose soulful vocals correspond nicely with the Electro-influenced, percussive and dreamy vibe of “Never Underestimate” – which also serves as an outlook to her upcoming album, out on Ostgut Ton in Spring 2016.